Blue Heron Books organizes great Authors' Events and I've attended most of them this fall (I recommend them!). I jotted down some notes when Kate Morton, Patrick Dewitt, Iain Reid, Craig Davidson and Nathan Ripley talked about their books and their writing. They, of course, don't use the same approach to writing and these notes reflect that. I use layering of time and tether the "then" to the "now". I use structure - not random. I like to have a sense as to where the book is going. I don't plot and plan but the ending is so crucial. I believe that you have to know where you're going. I wrote the last line early on and worked towards that last sentence. I have an idea or image but no outline - seems bizarre to outline a story you don't know. I have disparate ideas which then grow together. I take photographs, use visual images to provide references for description. 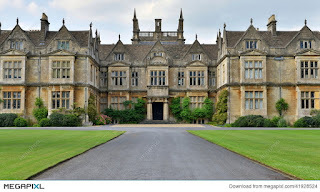 I research the area where the book is set. I like to reference specific detail rather than a lot of general description. Need to do research so that characters as well as the historical period are authentic, including how people spoke. Ability to be in that particular character is important. Usually takes a while to get a fabricated character to be three-dimensional. Moving character - hard to walk away without some degree of empathy. Some of the characters won't have names at first - a name eventually emerges. There is a lot of dialogue - my novels feel personal. Complicated and surprising and also in line with my take on the world - subversion of what's expected. Grounded in realism but open to the hint that more is happening than we're aware of in our real world. Appreciation of poetry is helpful - for rhythm and making it pleasant to say (audio books are more and more popular). Memories - people can hold different perspectives - why do our memories change? We tend to want to make them more palatable - this is a rich and shifting terrain for writers. Used present tense to allow room for instinct - not too intellectual. My books don't fit a specific genre. Write with genuine passion and love - put some of yourself into it. It's impossible to please everyone with a book! Excellent Review for Second Book in Meg Sheppard Mysteries Series! 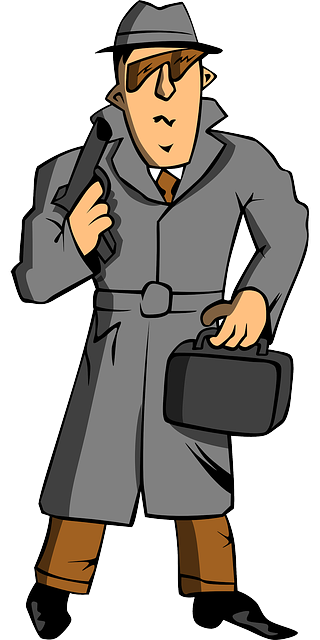 William Bell is a fan of the Meg Sheppard Mysteries Series. He gave my first book "What Happened to Frank?" a rave review and I hoped very much that my second book wouldn't disappoint. Hearing from readers that they enjoy reading my books and stories lifts me up and encourages me to keep on writing! (My third book is in rough draft form). 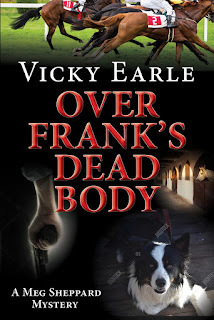 "This is a great follow-up to “What Happened to Frank” and another great mystery by writer Vicky Earle. Once again, Ms. Earle keeps things moving at a torrid pace, wasting no words while winding the main character, Meg Sheppard, into the centre of a complex web of crime, including of course, a murder. This book would adapt well to a thrilling stage play like Sleuth or The Mousetrap, with key events unfolding in surprising ways literally at Meg’s doorstep. “Over Frank’s Dead Body” is much more than a mystery however, it’s also a treatise on love. 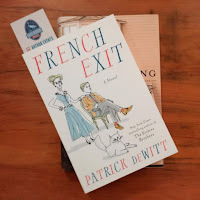 While I found myself trying to sift through the clues along with my new favourite, albeit somewhat reluctant sleuth Meg, to connect the dots and solve the crime, I also realized that I was witnessing the disturbingly wide scope of love’s power. Ms Earle skillfully reveals Meg Sheppard to us in ways that makes the reader share in the main character’s emotional journey - sad, angry, and tortured at one moment, and then hopeful, grateful and even blissful the next. Love is perhaps life’s greatest mystery and this book is a reminder as to why." Meg Sheppard Mystery Series Now In Books Galore! 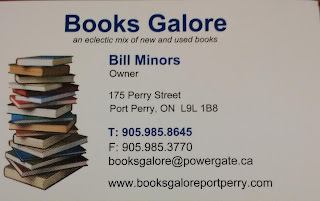 Thrilled that the Meg Sheppard Mystery Series is now available at Books Galore, Port Perry. 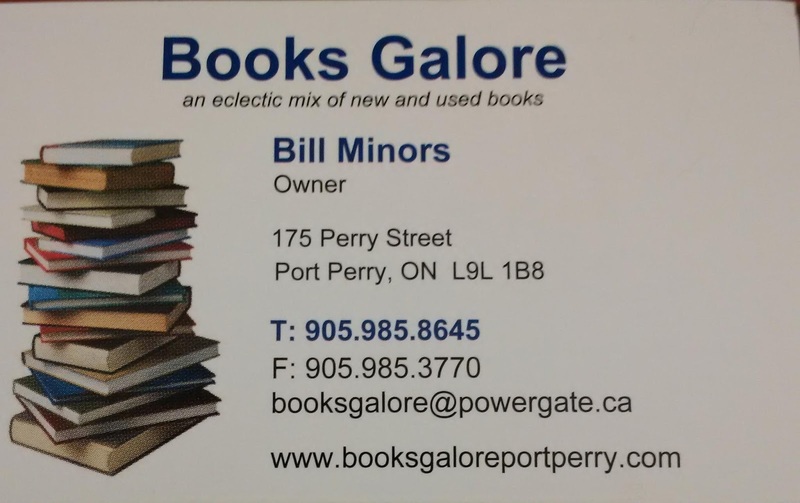 It's a great book store - check it out!! The prompt was a bookmark with a picture of a branch with lichen growing on it. 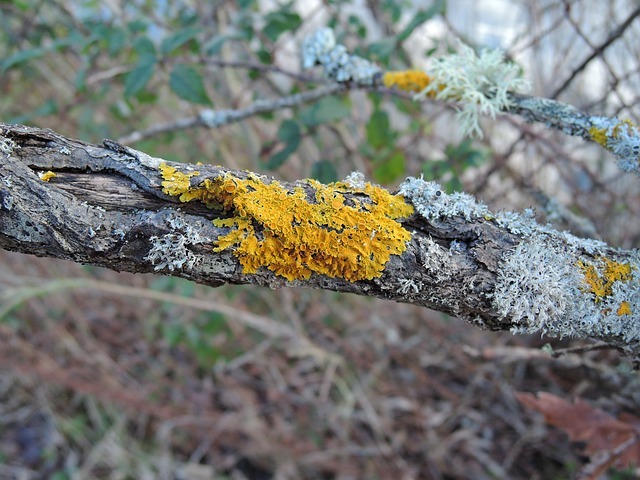 She sat and stared at the grey and yellow fuzzy lichen clutching to the old branch lying on the thick, green grass. It had missed her by a couple of inches. She'd felt the cold breeze on her face and in her hair as it tumbled down. Hadn't she told Angus at least ten times to cut that tree down? If he'd done it twenty years ago she wouldn't have had this near-death experience. She turns her body and heaves herself off the wet ground as her hyper-active border collie runs backwards and forwards to the barn. Looking around, she wonder what on earth Angus has been doing. Nothing, obviously. The fences are missing rails and, as she touches one of the posts, it wobbles precariously, signifying its separation from its anchor in the ground. The vines obliterate the fence in some areas, making it look as if there are escape routes for the horses. Where are the horses? She can't see them anywhere. She fights with the sliding door, stuck on its rusty wheels, as she peers into the dark, damp gloom inside the barn. No sign of life. No smell of wood-shavings, hay, grain or cat food. Her dog wags his tail and turns towards the house, as if encouraging her to leave. She mumbles that she really must have a word with Angus. Things have gone to rack and ruin. On the verge of a panic attack, she takes off her boots and coat, climbs the stairs and a strange looking container sitting on her mantle-piece catches her eye. The urn has a simple inscription on it. She gasps as she reads her husband's name and that he'd died fifteen years earlier. A Short Memoir: Arrival in Canada as Immigrants! This is a picture of the Stefan Batory - the ship which transported us across the Atlantic from England. We landed as immigrants on November 19, 1973. For the August 2018 word challenge piece, which I read out to the Uxbridge Writers' Circle, I wrote a short memoir, copied below, giving insight into our naivete about Canada. The words which we were to use in our writing are shown in italics. As the ship rumbled and vibrated, cutting through the chilly waters of the St. Lawrence, I leant on the rail, disappointment cooling my excitement. The topography was flatter than I’d imagined. The only photographs of Canada that I’d seen were of the Rocky Mountains and I’d assumed that these pictures represented the country from coast to coast. My only geography lessons at school had focused on the Great Lakes, but I had only a scant understanding of their size and significance. Such was my ignorance as we made slow steady progress towards our new home. When we docked at Montreal the bright colours and welcoming atmosphere astounded me. This place was in vivid contrast to the dull dreary Tilbury Docks we’d left behind. Everywhere was alive with bustle. Such was the efficiency and helpfulness of the Canadians who guided us, that we were ushered onto a train to Toronto before we had intended to leave Montreal. We were young, having just graduated from university in England. We didn’t know where we wanted to live but all recommendations pointed to an apartment in the High Park area. Within six weeks we bought a house in Streetsville, and within ten months after that move, we bought a small brick bungalow on eleven acres in Uxbridge Township. We’d neither of us lived in the country before and still knew little about Canadian life. We adopted a town-raised Irish Setter the day after our move, and she was equally as naïve. The first thing Tessa did was visit the next-door neighbour’s bull, circling him and barking, her silky tail swinging from side to side. Fortunately, the bull wasn’t a particularly aggressive animal and probably had not seen an Irish Setter before. He appeared to have a quizzical look on his face as our neighbour helped me to rescue our townie dog. Despite the certainty that this incident raised their eyebrows, this neighbour and his wife have been our friends for the forty-three years since the interesting encounter. Tessa also introduced us to our neighbours on the other side of our property. She had an uncontrollable urge to chase their ducks. At first, these neighbours were, naturally, upset. I think a couple of their ducks died as a result of our dog’s pursuit of them and her picking them up in her mouth. She was a gentle dog with a soft, retriever’s mouth, but the ducks hadn’t been told that. Despite these sad and distressing outcomes, we later discovered that these neighbours fed Tessa biscuits every day, so she must have used her special charm on them with some success. One particularly challenging Canadian phenomenon we knew nothing about until Tessa introduced us to it, is the skunk. I couldn’t believe that its rank stink couldn’t be washed off with shampoo. I didn’t know about tomato juice or the concoctions which I’ve since learned can be helpful. So, we just had to put up with it until the sticky smelly stuff wore off. Tessa learned her lesson though. If ever there was a sign of a skunk, by sight or odour, she would half-close her eyes as if to wince and beetle back to the house. We’ve lived in Canada for almost forty-five years, and we’re still learning about this amazing country and what it has to offer. We’ve had many adventures and hope to enjoy many more memorable experiences. We believe that we were fortunate to be approved for immigration in 1973 and are eternally grateful for the warm welcome we received. 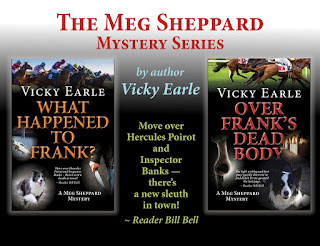 Meg Sheppard Mystery Series Now Available On-line! Both books are now available in-store and on-line at Blue Heron Books. 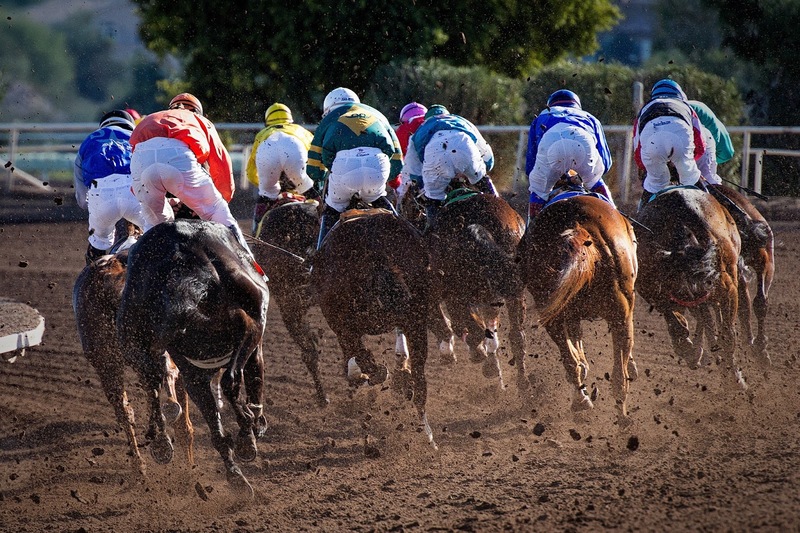 They are both cozy mysteries set in the unique world of thoroughbred horse-racing and of country living. The first in the series is What Happened to Frank? I think you might enjoy the second one, Over Frank's Dead Body, more if you've read the first one! "This book reminded me of why I like a good 'whodunit'. The tight writing and fast pace quickly drew me in and didn't let go of me until the last page. Move over Hercules Poirot and Inspector Banks - there's new sleuth in town!" Thank You for Book Launch Success at Blue Heron Books! 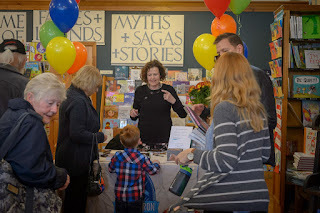 Thank you to all the readers who supported my book launch on October 13 at Blue Heron Books! It was a great success and I hope you are all enjoying the books. I re-issued What Happened to Frank? 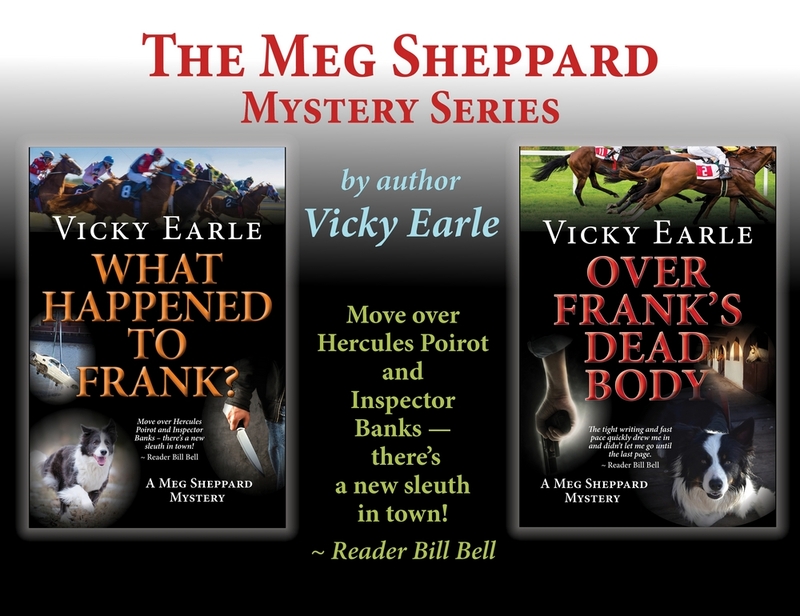 and launched the second novel in the Meg Sheppard Mystery Series, Over Frank's Dead Body. I offered them at special launch prices and sold over 70 books! They are available at Blue Heron Books (the store) and will be included in their website soon for purchase on-line. And the e-book versions will be uploaded in the near future. The plan is to have them available at another bookstore - I will keep you posted. These books are cozy mysteries and the set of two makes a great gift! Article about Book Launch appears in the Uxbridge Cosmos! 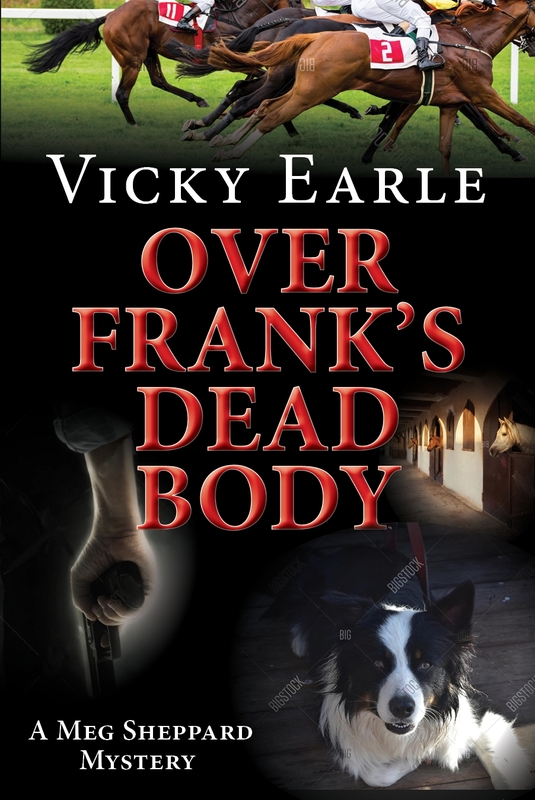 It took Vicky Earle over fifteen years to finish her first book “What Happened to Frank?”. When asked why it took so long, Earle confesses that horses and her career were the main time-consumers. Since publishing her first book, Earle, now retired, completed her second in the Meg Sheppard mystery series in about three years. Earle adds that everyone is welcome. When asked what the setting is for her books, Earle says she draws on her long experience of living on the family’s 10-acre horse-farm in the Uxbridge area which is home-base for the small, family-run, thoroughbred breeding and racing business. She and her husband, Martin, race at Woodbine Racetrack and are very familiar with the backstretch from the owners’ point-of-view. Earle is a member of the Uxbridge Writers’ Circle and credits this group, as well as courses she attended at the Blue Heron Studio, for both encouraging and challenging her. At the launch on Saturday October 13, Earle will read a few excerpts and will be available to sign the novels for readers between 2pm and 4pm. Both books will be offered at a special reduced price during the launch. As you can guess from the covers of my books shown here, the stories are set in country life (in which Kelly, the border collie plays a significant role) and in the thoroughbred horse-racing business. These are the worlds I know quite a lot about - although horses keep you humble - I continue to learn every day. There are many ups and downs. 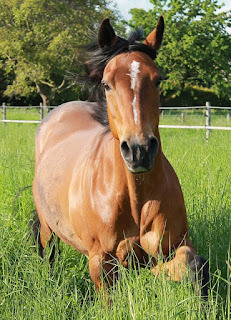 We have a three-year-old called George, who did poorly in training last year, so came home early and didn't race. We decided we'd give him a head-start this year and send him for preliminary training in Florida - a big step for us. At the beginning of January, two days before we'd arranged for him to leave, he got into trouble in his stall and demolished a wooden wall (we don't know what happened). His injuries were serious including a fractured jaw, cracked gum, broken hyoid apparatus (supports tongue and larynx), chunks of his lower leg missing (one was the size of a tea-cup). We were in shock. The snow was bad. The vet got stuck. Transport was hard to find. But we finally got him to the equine hospital at Guelph University. There was little they could do - he needed TLC and time. At first he wouldn't eat, but things gradually improved. He loved having four small meals a day along with his grated carrots. Then the bandages could be left off. He got stronger. We regained hope that perhaps he could go back into training at Woodbine one day. Sure enough, he went back on April 25. But it was a slow start. Nevertheless, we all decided to be patient. He had been through so much. And yesterday he ran his first race and came third. I don't think we've ever been so pleased with a third place before. I'm posting the video on the page "Wins at Woodbine Racetrack" - even though it's not a win. His racing name is I'm a Home Brew, he's number 4 and has white blinkers, and he's the only one who's not raced before ("maiden" means having not won a race). Wins at Woodbine Racetrack Page Yeah, George!! 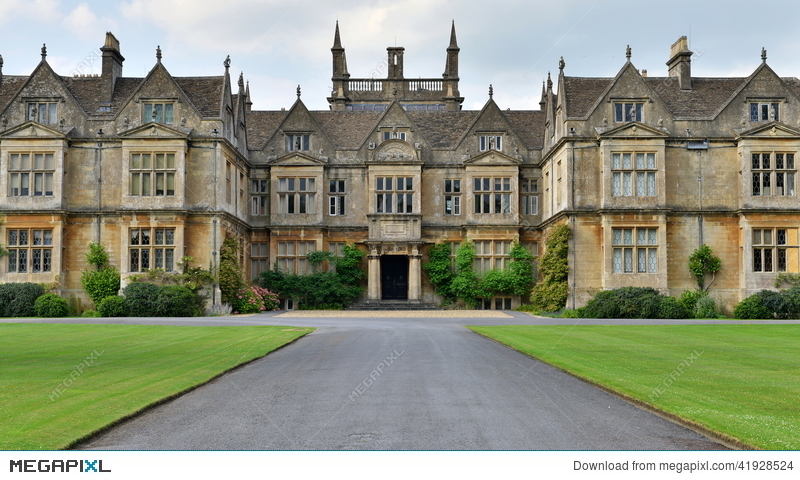 Perhaps this will give you a taste of the setting that I enjoy to write in and why. Hope you have fun reading my books. See you at the launch on Saturday, October 13, 2pm to 4pm, Blue Heron Books. Book Launch! Save the Date! My first book, "What Happened to Frank?" will also be available. I hope to meet current fans of the Meg Sheppard series as well as new readers! Stay posted. There will be more information coming. (Sign up to receive email notifications of new posts by clicking on "follow by email" at vickyearleauthor.blogspot.ca). Two New Micro-Stories and One Micro-Non-Fiction Piece! These short pieces were each written during a meeting of the Uxbridge Writers' Circle as part of the "ten-minute on-the-spot" writing segment. We can use the photos provided or we can just write what we like. No editing! Grandpa was a boring old man with white whiskers and deep wrinkles. He sat in his recliner and it seemed to me that he spent more time snoring than he did talking. He must have had so much he could tell us about, so many interesting things, but we didn't hear any of it. But he was the best Grandpa in the whole wide world when we went skating. Somehow his stiff body would unwind and energy seemed to travel from his toque to his toes. His scarf would fly around this way and that as he spun and twirled. He skated backwards at an atrocious speed, often barely missing us. We would watch in awe, the cold seeping and creeping, until we realized we hadn't moved for several minutes as we watched his show. 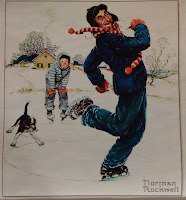 One afternoon, as he untied his skates, I plucked up the courage to ask him how he learned to skate like that. "Ah, I was a hockey player many, many years ago." "Wow. With the NHL?" I asked. "That must have been the best." "It was okay, but we didn't wear helmets like your Mom makes you wear." "I'd like not to wear one." "You could hit your head on the ice and end up like me." So, I always wear my helmet. I don't want to get wrinkles like my Grandpa. 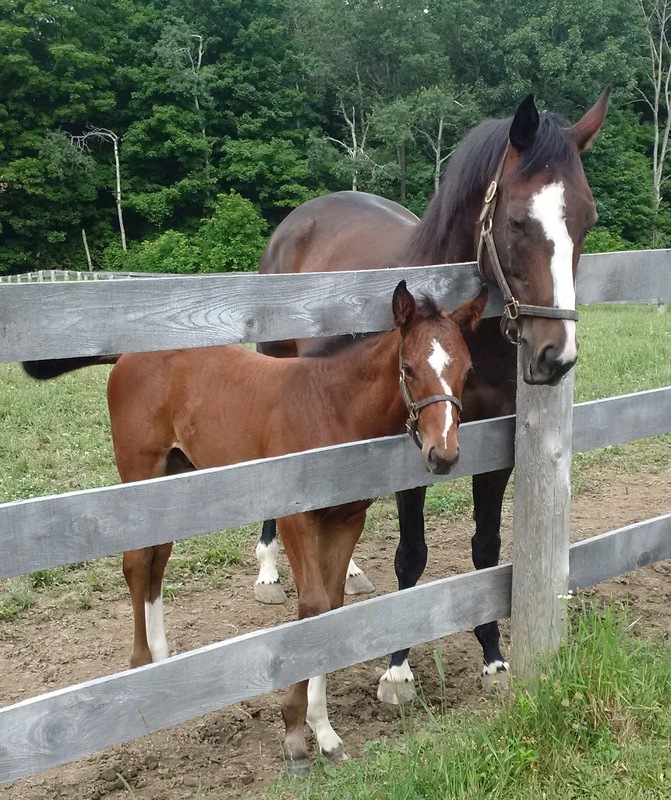 The second one is non-fiction about our foal, Chase, who was born on May 15, 2018. We watch as the foal kicks up his heels, bucks and then canters around the patchy green field, almost colliding with his mother. She ignores his display, making the best of her time outside to graze, seeking out the blades of grass in between a myriad of weeds. The two-month-old colt takes a nip out of the man repairing the fence - as he does, he shows off the scrape he gave himself as he pranced by the loose oak plank. The man pats him on the rump and tells him to go away. The colt's answer is to rear and then tear off to the other side of the paddock and stick his muzzle onto my husband's phone as he attempts to capture the antics of the new member of the family. Our grandsons have named him Chase and we can already imagine him flying out of the starting gate and crossing the finishing line. With each new arrival there is excitement and optimism. Breeding, raising and racing thoroughbreds is fraught with set-backs and liberally scattered with disappointments, and we've had our share. But, for the moment, we're wallowing in the pleasure of watching Chase enjoying life. Every buck and every dash bring smiles, and makes everything seem worthwhile. Photo: Chase with his mother, I'm a Kittyhawk. Taken by Vicky Earle. The third one is based on a photo of a cat with the caption "Missing You". 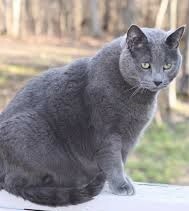 Beluga, the fat grey cat, sat on the windowsill - looking much like an overstuffed furry pillow with whiskers - and watched the family leave for the cottage again. Looking at him, one couldn't see the frown on his face but the fury flashed in his eyes and twitched along his whiskers. They had left him alone once too often and he was going to show them. He thought of the big plan as he sat staring at the chickadee which looked far too cheerful. But, since he couldn't reach him, he closed his eyes and focused on the plan. He woke up with a start as the grandfather clock struck. He must have had a nap. He stretched, yawned, landed with a thud on the wooden floor and waddled to his food dish. Just that foul dry food awaited him. Where was the fresh fish? Beluga remembered he'd been left again and recalled the great plan. The first thing on the list was to leave grey hair liberally spread on Anne's new white bedspread. He lapped at the water which was lukewarm, not cold how he liked it, and then heaved himself up the stairs. The bounce had gone out of his steps. He clawed his way up the side of the bed, hanging onto the bedspread. He was exhausted, and curled up in a dip between the pillows and fell asleep. "Beluga!" Jenny called. "We're home!" The great plan was put on hold again.